We are excited to have been asked to perform at the Northern California NAMIWalk on April 28th at Land Park! 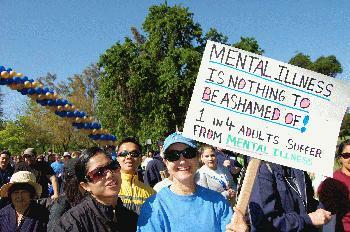 The walk raises funds to benefit National Alliance on Mental Illness (NAMI) affiliates from Amador, El Dorado, Sacramento, San Joaquin, Stanislaus, and Yolo Counties. These funds help them provide education classes, support groups, and advocacy. But the funds also help educate the general public about mental illness, which is more common than most people realize. This work reduces the stigma of mental illness. The Nickel Slots are proud to be associated with this event, and we’ll be performing both before and after the walk. Come out to see us and say hi to emcee Alisa Becerra, morning news anchor of KXTL Fox40. There will also be entertainment and activities for the kids. While you’re there, donate a few bucks to this great cause. Or even better, get a team together and walk! You could win a cruise. See the NAMIWalk website for details. Our performance begins at 8am at William Land Park, 3800 S. Land Park Drive in Sacramento. See you there!